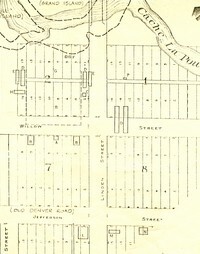 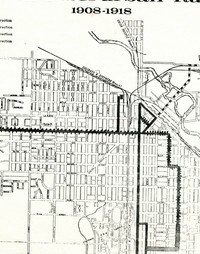 The Archive has nearly 1500 maps in its collection that trace the history of Fort Collins, Larimer County, and Colorado. 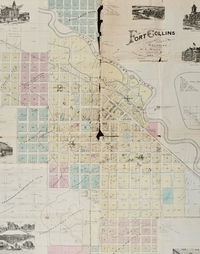 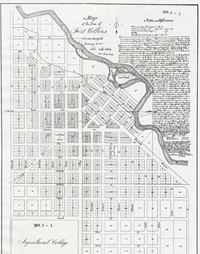 Some of the more frequently-referenced maps have been digitized, but the majority of the collection is not yet online and may be viewed only by visiting the Fort Collins Local History Archive. 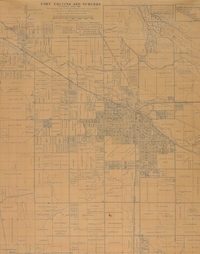 If you have a problem using the search box, please click http://database.history.fcgov.com/cdm/landingpage/collection/hm to repeat your search. 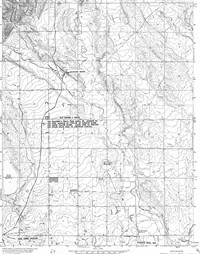 Sanborn Fire Insurance maps are large-scale plans of a city or town drawn at a scale of 50 feet to an inch. 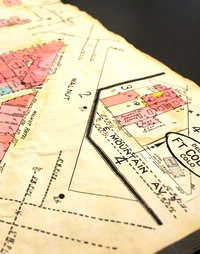 They were created to assist fire insurance companies assessing risk of various properties, and they are very helpful for historical research. 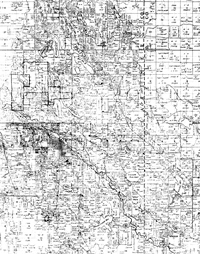 Many Colorado Sanborn have been digitized and are available for online viewing using the Library District's Sanborn Map database. 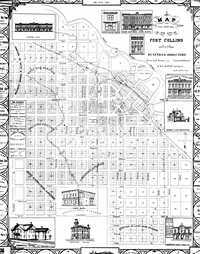 Don't Forget to Visit the Archive!